PN junction is not properly doped to control reverse breakdown. 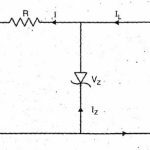 Zener diode is properly doped to control reverse breakdown. PN junction has no sharp reverse breakdown. 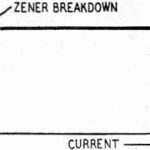 Zener diode has small sharp reverse breakdown. It conducts only in one direction. It conducted in both the directions. It is commonly used for rectification purpose. It cannot be used for rectification, but commonly used for voltage regulation. A PN junction diode will be permanently damaged for a large reverse current. Zener diode will be not damaged for a large reverse current. It burns immediately, if applied voltage exceeds the breakdown voltage. It cannot be used for rectification, but commonly used for voltage regulation.